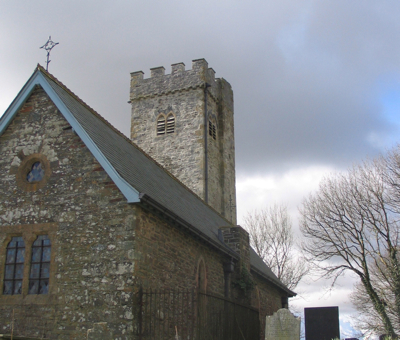 Cyfig Church, Carmarthenshire, where we both repointed, and partly lime-grouted the this exposed mediaeval tower to reduce water ingress in 2009. 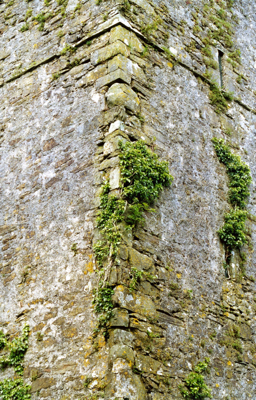 Corner of tower after repair. Fixing position of one of the hidden anchors just visible. 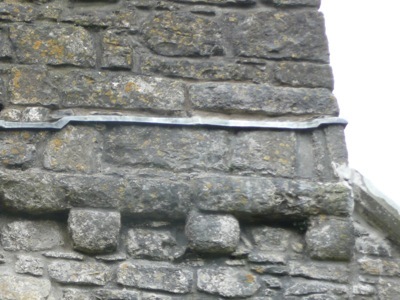 Detail of the lead tray the practice inserted across a previously very damp tower at Cosheston, in Pembrokeshire, to protect the interior. 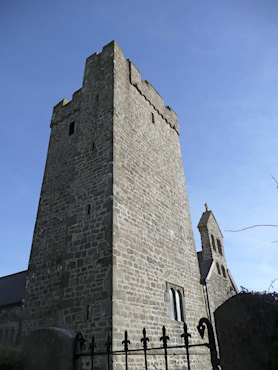 The practice have worked on a number of church towers over a 20 year period, and have been the quinquennial inspecting architects on many other churches with towers. We have therefore paid close attention to the issues they raise, and have learned from feedback we have obtained from our own work on towers, all of which could be described as being in exposed locations. Our work on lighthouses has provided a very different, but interesting insight on the performance of other towers on exposed sites. We have monitored with interest English Heritage’s ‘Damp Tower Project’. 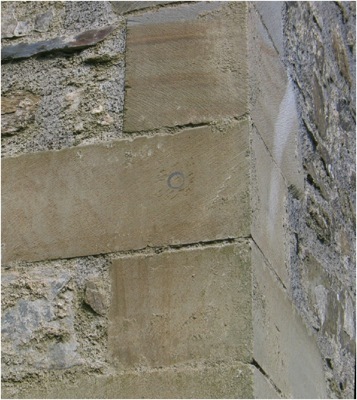 Having worked with one if its authors, Colin Burns, on Cyfig Church, we are convinced of the benefits of grouting where core mortar may have been lost, and are one of the few practitioners in Wales with direct experience in this difficult repair process. We have worked on church towers with both lime putty and hydraulic limes, and have been able to draw some interesting conclusions on both materials. Re-pointing, parging or rendering in lime, and grouting structures are both specialised areas of repair work that require considerable experience and knowledge. This practice is able to offer this expertise, in the context of a wider analysis and understanding of the building.